Looking for where to buy Frozen Rhubarb? Perhaps you don't grow your own rhubarb, so you don't have rhubarb in your freezer to use when rhubarb is not in season, since most stores do not sell fresh rhubarb all through-out the year. Or, perhaps you don't have enough fresh rhubarb during the spring and summer months to freeze enough for your to use during the winter months. 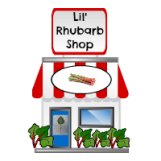 Or maybe you are visiting this page simply because you can't even grow rhubarb where you live, and you have no access to fresh rhubarb, and you wish to purchase frozen rhubarb to try one of the scrumptious rhubarb recipes at Rhubarb-Central.com! Or maybe you need rhubarb to try several ;) of the over 250 recipes at this website. Whatever the case may be, here you will find ideas of where to look for that veggie with so many recipe possibilities! Many, many website visitors contact me asking where they can buy frozen rhubarb, and whether or not I sell it. For this reason I have added this page to Rhubarb-Central.com in an effort to have a compiled list of where you can buy this particular frozen veggie! The answer to the question of whether or not I sell frozen rhubarb is, "no", I don't. It is rather expensive, but you can purchase frozen rhubarb online (limited availability from time to time), and you can also purchase it at some local stores in some locales. Click on the image of the frozen rhubarb below for more detailed product information and customer product reviews. It seems that, unlike most other frozen vegetables (yes, rhubarb is a vegetable not a fruit), rhubarb is not as readily available in large grocery stores in the United States and in Canada. 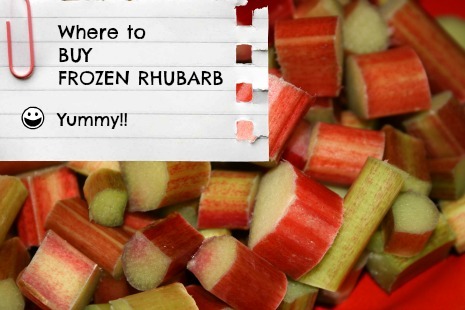 Here follows comments made on Rhubarb-Central's Facebook page when the question, "Where do you buy frozen rhubarb?" was asked. Also included is advice received from visitors to Rhubarb-Central who have contacted me with information as to where frozen rhubarb is available for purchase in their locale. KEEP IN MIND however, that the availability of frozen rhubarb may vary from time to time, therefore, especially if you are live a fair distance from one of the places listed below, it would be a good idea to CONTACT the store prior to your visit to ensure they do have frozen rhubarb in stock. 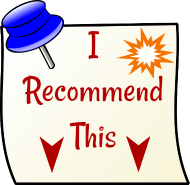 ~~ Kathie from Mill Creek, WA writes: " ... I've found frozen rhubarb at Central Market in Mill Creek WA. N of Seattle." ~~ Karen from Elk City, OK, writes: "I found frozen rhubarb in a Homeland Grocery Store in elk City, OK."
~~ Rachel from Escondido, CA writes: " ... Major Market grocery store in Escondido, CA (north San Diego county) carries packages of rhubarb in their freezer section (Dole brand)." ~~ Barb writes: " ... Trader Joes ... They are all over the USA however the closest stores to me are in Pittsburgh, Pa. or just outside of Cleveland, Ohio." ~~ Stephanie writes: " ... Any Hy Vee frozen fruit section. Hy Vee is all over the Midwest." ~~ Jackie writes: " ... I bought it at Wal-Mart and I think I have seen it at Target and Mariano's." ~~ Denise writes: " ... Cub Foods in MN as well." ~~ Mike writes: "... I found 5 lbs. frozen rhubarb at Frank's Farms online, ships from the USA." ~~ Hilda writes: " ... One day about 3 years ago I asked my wonderful local IGA grocer (Brackett's Mkt., Bath, Maine) if there was a source for frozen rhubarb. He said he'd ask his supplier and get back to me. Called me the next day, said it was available in 10 lb. bags, IQF from Poland, ~$18 a bag. I was thrilled. I sometimes pay twice that for fresh when it's available. I said go, he said it would be in on the Monday truck. It was. It lasts me for 5-6 months in the freezer. I use some in chutney and jam, crisp & pie, pound cake, a bread pudding to die for, just stewed w/sugar to put on biscuits ... It is as good or better than any rhubarb I've grown or bought anywhere. I was supposed to pick up my new order last Tues., but the supplier was out of stock and it should be here this Monday. Been over a year since I ordered, so guess it's probably gone up in price as most everything has. I'll let you know. I don't know if everyone's IGA grocer is as accommodating as mine, or if every regional IGA supplier has this rhubarb in stock, but ~$2 a lb. sure beats Amazon's 2.2 lbs. for $67 w/shipping! Good luck to them all. Life w/o rhubarb is hardly worth living. :)"
~~ Steve writes: "...FYI - Horrocks in Lansing Michigan carries bags of frozen rhubarb. I got a bag and used 2/3 of it to make a great pie. This is now my daughter's favorite pie!" ~~ Deane from B.C., writes: " ... SNOWCREST brand of frozen rhubarb can be purchased in B.C." 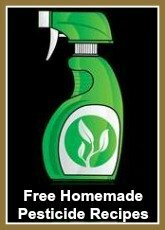 ~~ Lenore writes: " ... Save On Foods has it in B.C." ~~ Rosemary writes: " ... Farm Boy Peterborough."